Carlos Laguna - Speaker, USMC Veteran, Stress Management Coach | Are you looking for a speaker for your next event, meeting or conference? Carlos is available to speak about stress management, decision making, team building, resilience and overcoming adversity, PTSD and TBI. Carlos is also available for interviews, panels and webinars. Are you looking for a speaker for your next event, meeting or conference? Carlos is available to speak about stress management, decision making, team building, resilience and overcoming adversity, PTSD and TBI. Carlos is also available for interviews, panels and webinars. Carlos served in the U.S. Marine Corps for 8 years and is an Operation Iraqi Freedom veteran. Through his experiences in combat and in instructing and training over 5,000 Marines as well as his own personal experiences with Post-Traumatic Disorder (PTSD) and Traumatic Brain Injury (TBI), Carlos is in a unique position to teach others how to navigate hostile environments and make decisions under extreme pressure, and how to identify stress triggers and manage stress for a healthier life and a healthier business. Carlos also teaches others how to build unstoppable teams based on best team building practices from the Marine Corps. As an infantry Marine with 3rd Battalion 7th Marines (“The Cutting Edge”), Carlos was deployed twice to Iraq. He then became an Combat Skills Instructor where he taught non-infantry Marines basic infantry skills and also evaluated and taught other Marines to become instructors. He was recognized as an exemplary Classroom Instructor. Carlos’s next station was as a Senior Indoor Simulator Marksmanship Instructor where he not only taught marksmanship but he developed new class syllabi and activities. In his time as Combat Skills Instructor and Marksmanship Instructor, Carlos taught, evaluated and advised over 5,000 Marines. Carlos has both PTSD and TBI and in 2010 sought out treatment programs and discovered many therapeutic methods and other modalities to identify stressers and triggers and learn how to manage stress to live a fuller, more peaceful and healthier way of life. Along his quest, he led self­ help groups for veterans with PTSD at two facilities and also participated in panels informing doctors and counselors on how to better approach and understand veterans with combat-related PTSD. Through all this work, Carlos feels a calling to serve, help and advise current and future combat veterans however he can, in particular through speaking and sharing experiences and often life-saving knowledge and resources. For the past three years, Carlos has served as a Stress Management Coach and Patient Advocate Liason for the Pegasus Rising Project, an equine therapy non-profit organization in San Diego serving those with PTSD and TBI. There he is an advocate and mentor for both active duty military and veterans. With the groups of participants each week, Carlos speaks about equine therapy, PTSD and TBI and teaches them how to interact with the horses (to build trust and mutual understanding) and he assists the participants with identifying stressors and triggers. He also serves as a spokesperson and MC for the organization and is responsible for speaking engagements related to veteran’s issues and helping to raise $25,000 for the organization. He also leads event planning and logistics including location, food/beverages, talent and presentations for the organization’s fundraising events, all working within a strict budget. Carlos is a regular speaker at OASIS, a U.S. Navy PTSD residential treatment program in San Diego, where he shares his story and experiences as well as tips and techniques to recognize triggers and manage stress in relation to PTSD. In 2014, Carlos spoke at the California State Capitol to a panel including California State Senator Ellen M. Corbett on behalf of researchers of the Department of Neurology at the University of California San Diego about traumatic brain injury (TBI) and the importance of continued research for treatment. In March 2015, Carlos was a speaker at Event Solutions Conference and Tradeshow where he spoke about identifying stress triggers, decision making under pressure and maintaining calm in chaos and stress management for a healthier life and business. Before he joined the Marine Corps, Carlos had years of experience as a DJ and as a bartender, giving him plenty of insight into providing outstanding customer service and seamlessly creating an environment for guests to enjoy themselves no matter what craziness may be going on behind the scenes of these fast paced industries. Carlos has over 10 years of experience providing individual and classroom instruction with regards to operating procedures, logistics, sales, and marketing, public speaking in the hospitality, nonprofit, and military industries. 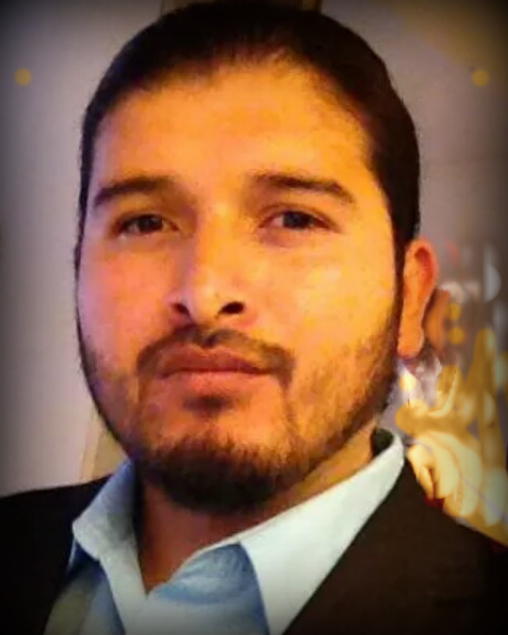 Born in Mexico and raised both in Mexico and Texas, Carlos is bilingual and speaks Spanish fluently. Carlos is available for travel worldwide. He is also available for interviews, panels and webinars. To book Carlos for your next event, meeting or conference, click here. -"12 Easy Ways to Identify Your Stress Triggers and Manage Your Stress for a Happier and Healthier Life"
because your story was so inspiring." "Thank you for being such a tremendous event professional! It's nice to work with a pro - someone who is responsive, responsible and meets all of my deadlines. I would be happy to recommend you in the future for any other speaking engagements. Please don't hesitate to use me as a reference."